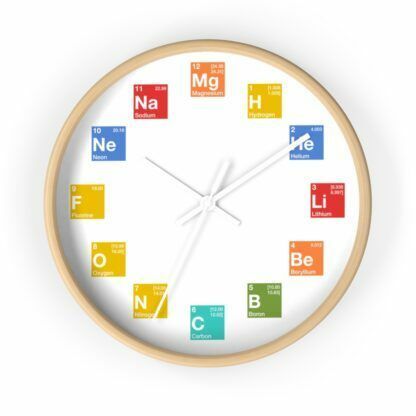 Periodic table of elements wall clock. 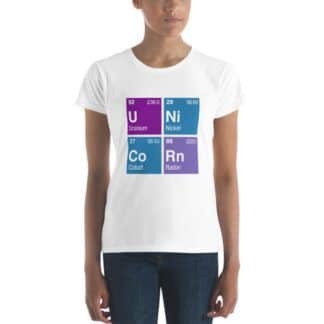 Printed in Georgia, USA 🇺🇸. 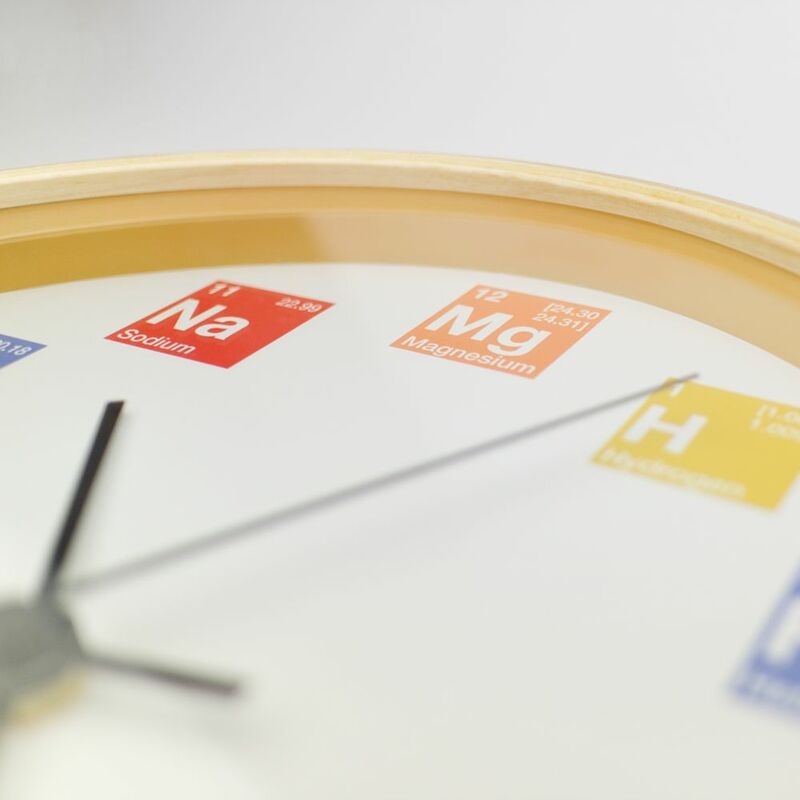 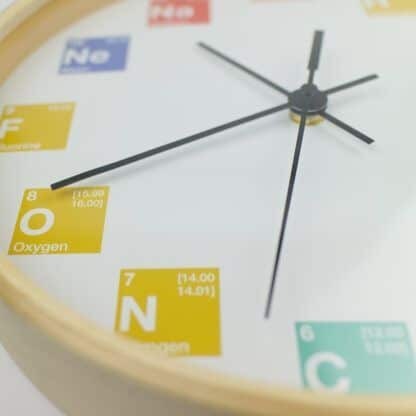 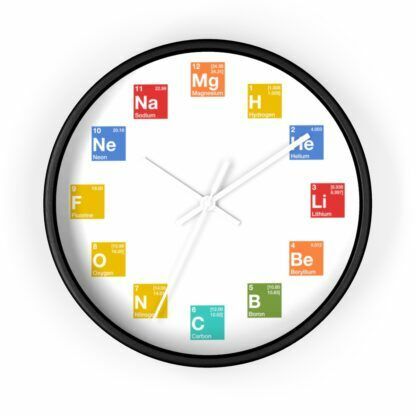 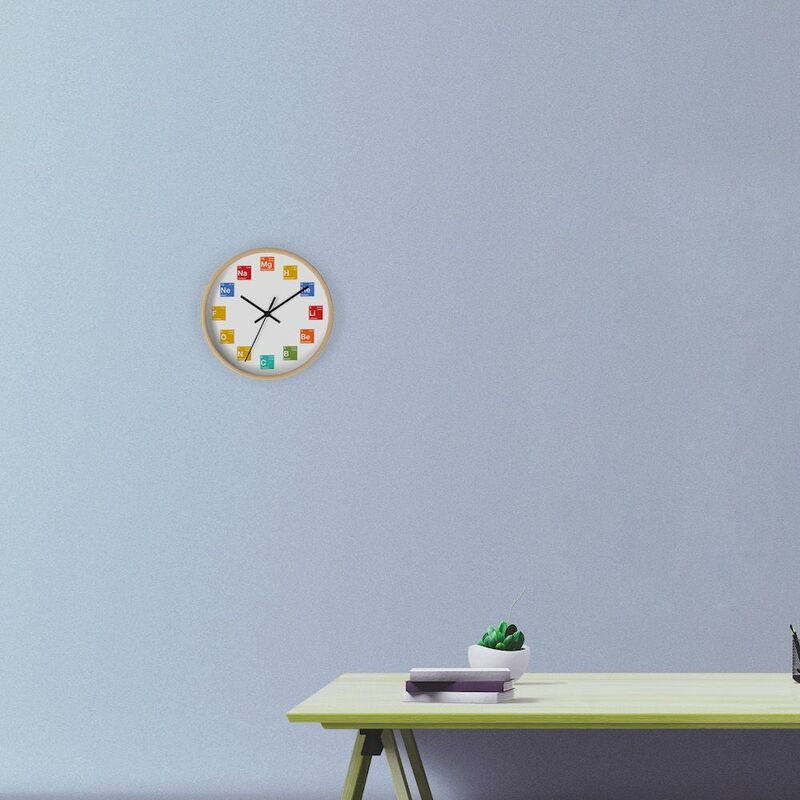 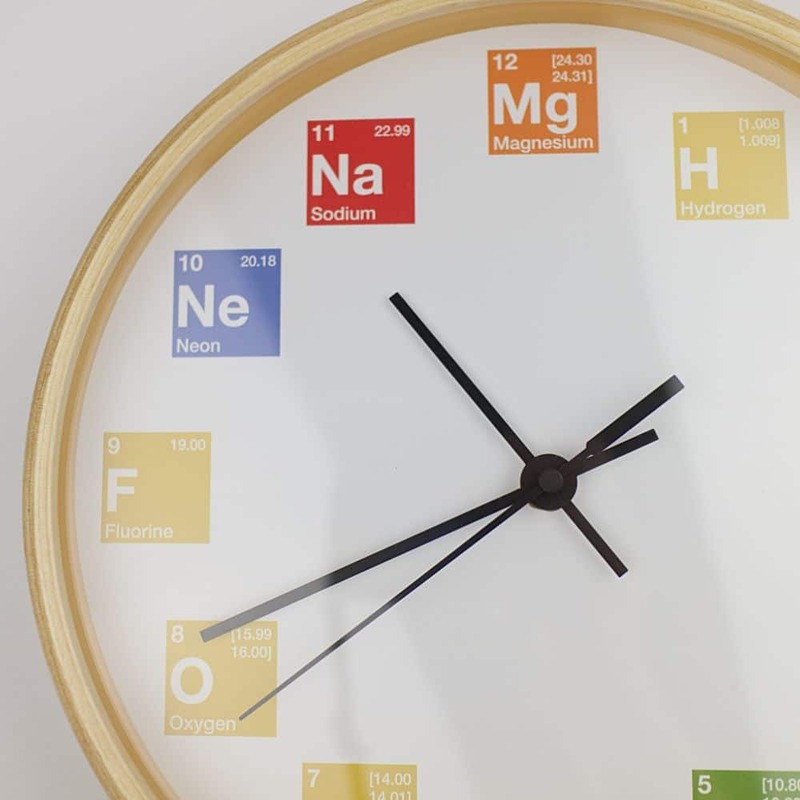 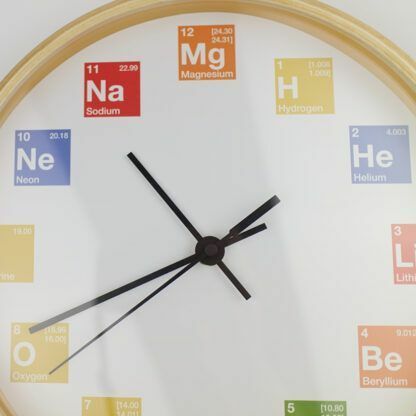 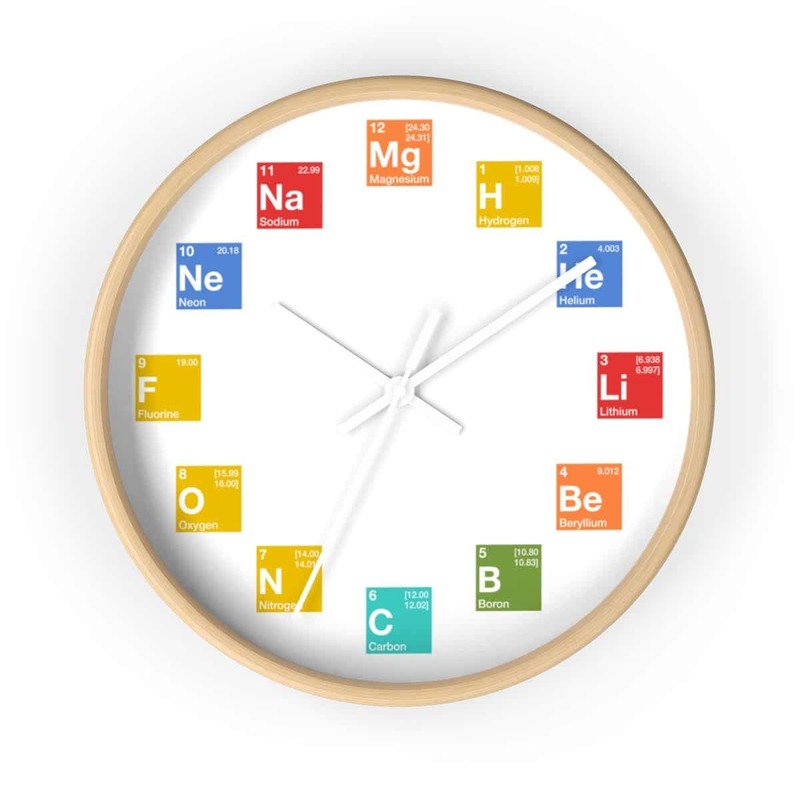 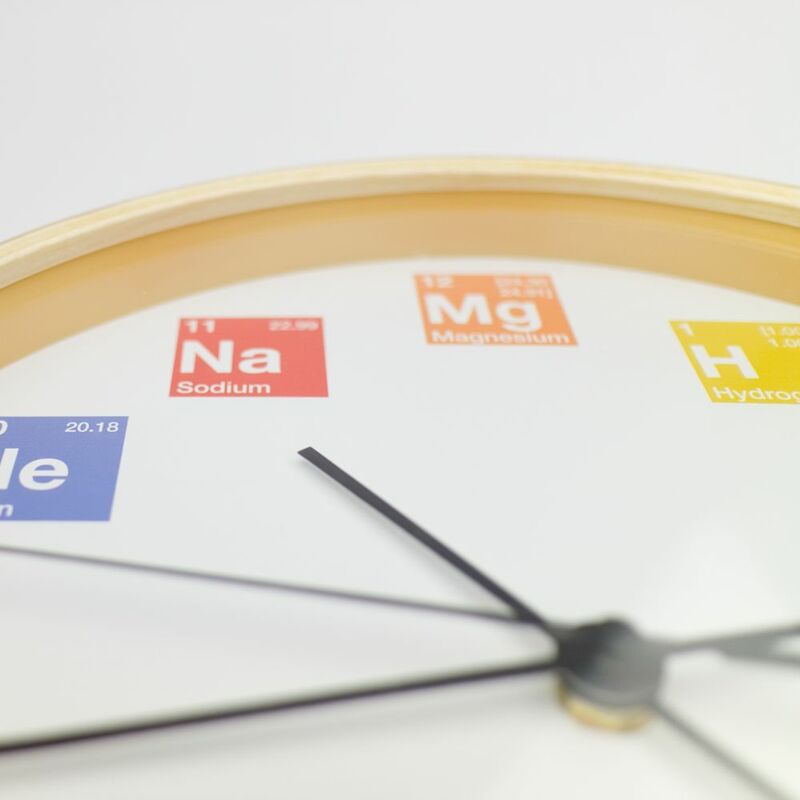 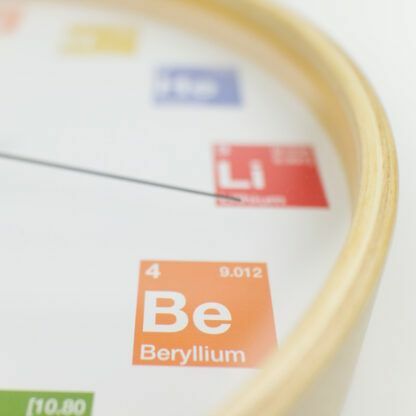 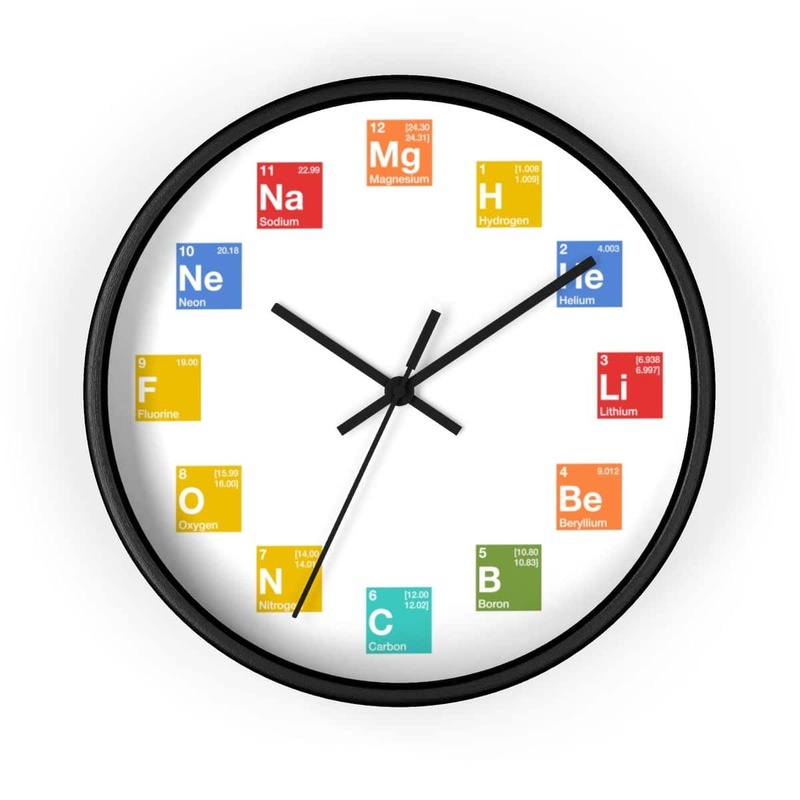 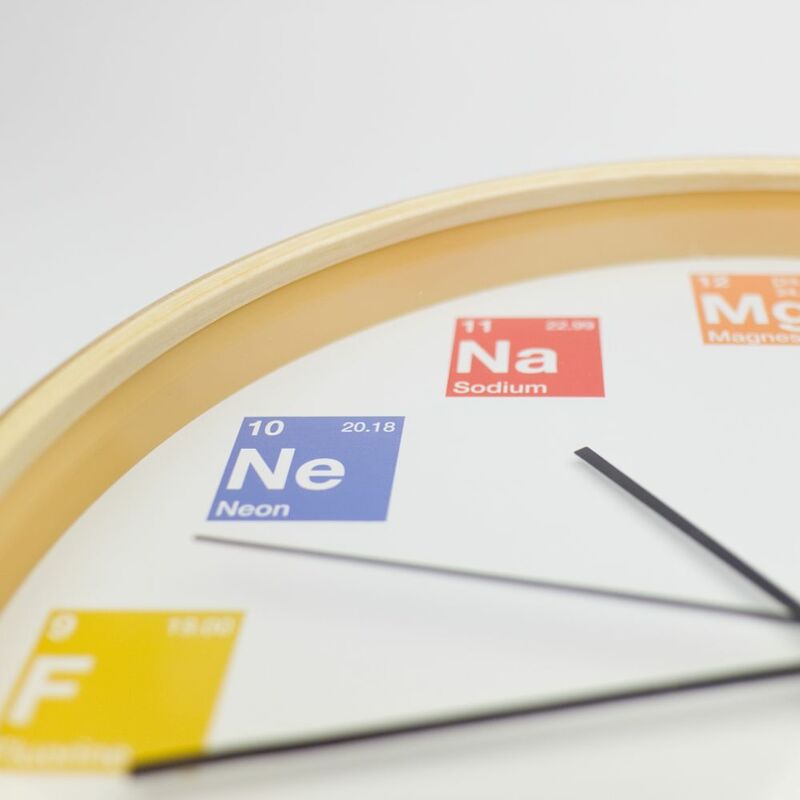 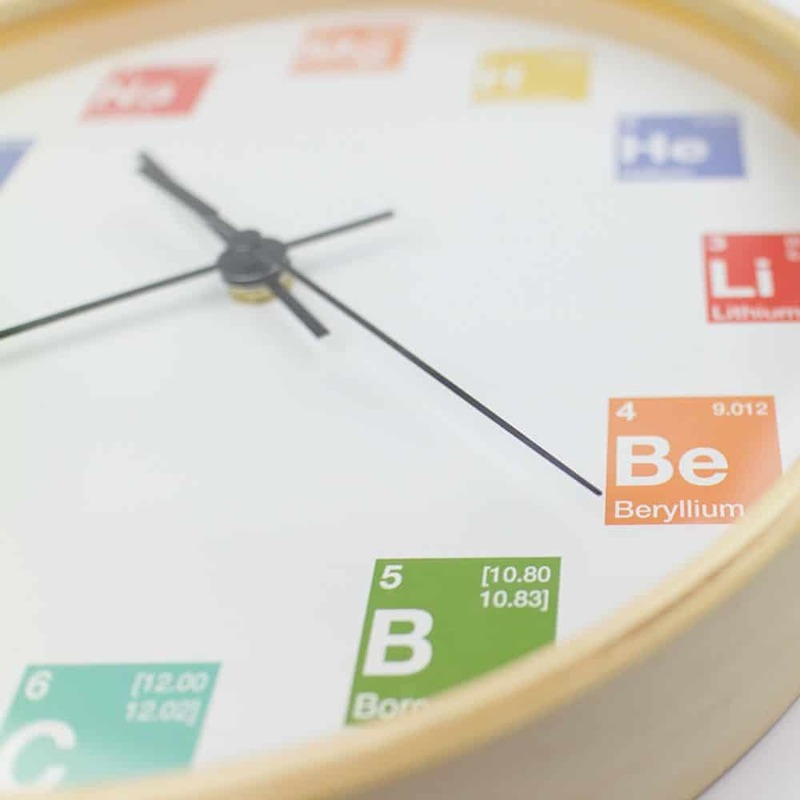 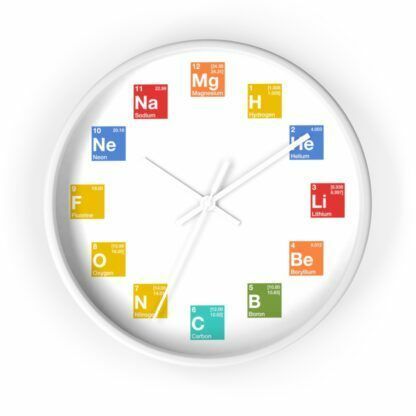 A wall clock with elements from the periodic table for hours. 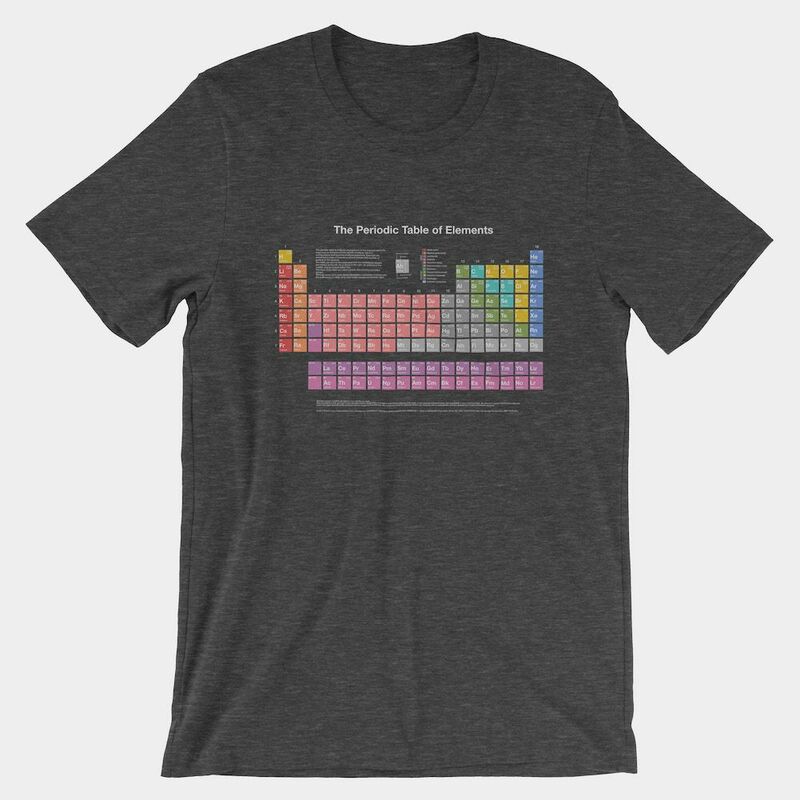 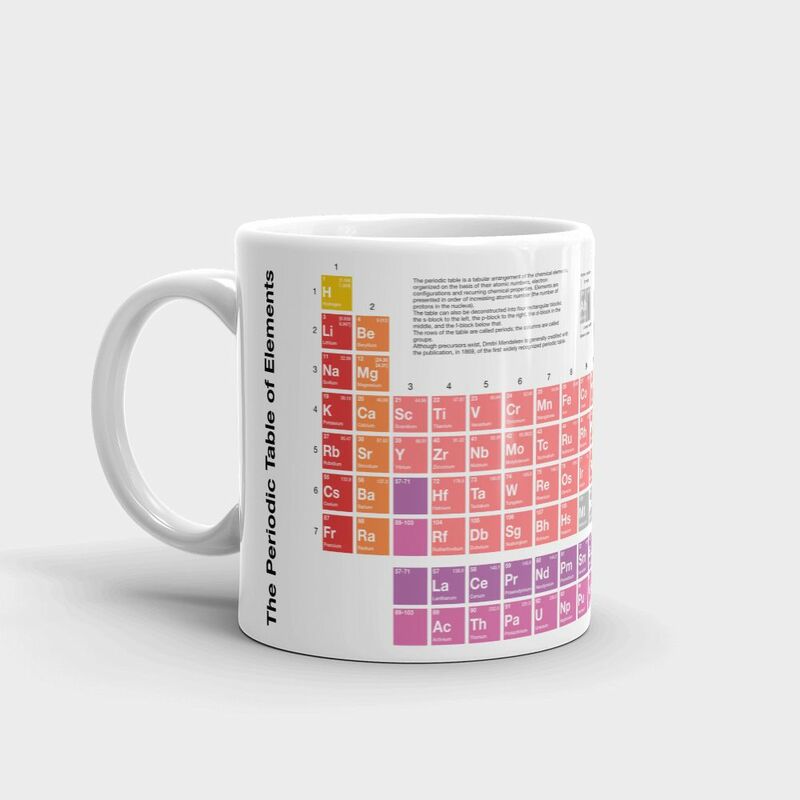 It doesn’t get much geekier than this. 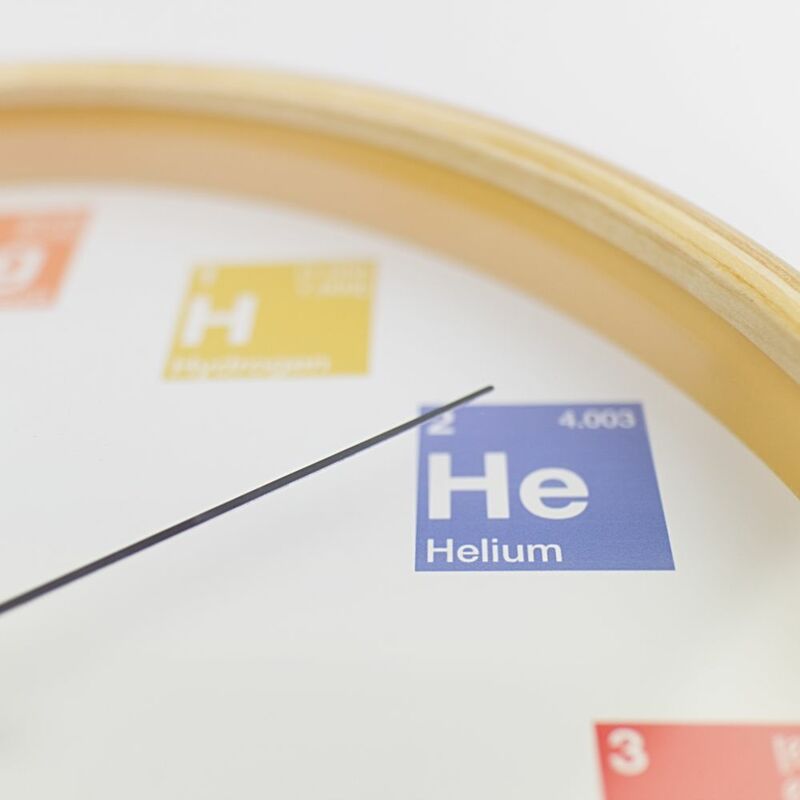 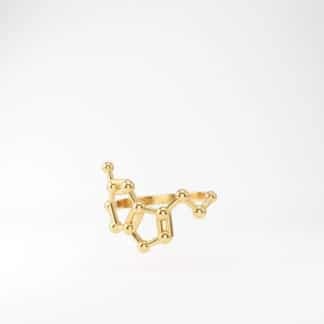 Count the elements, hydrogen after hydrogen. 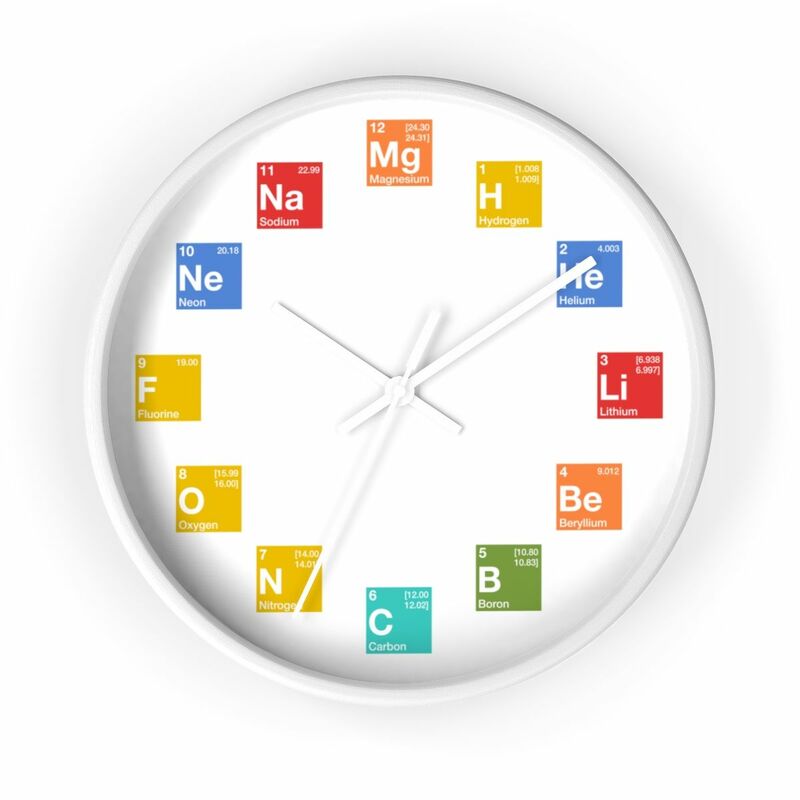 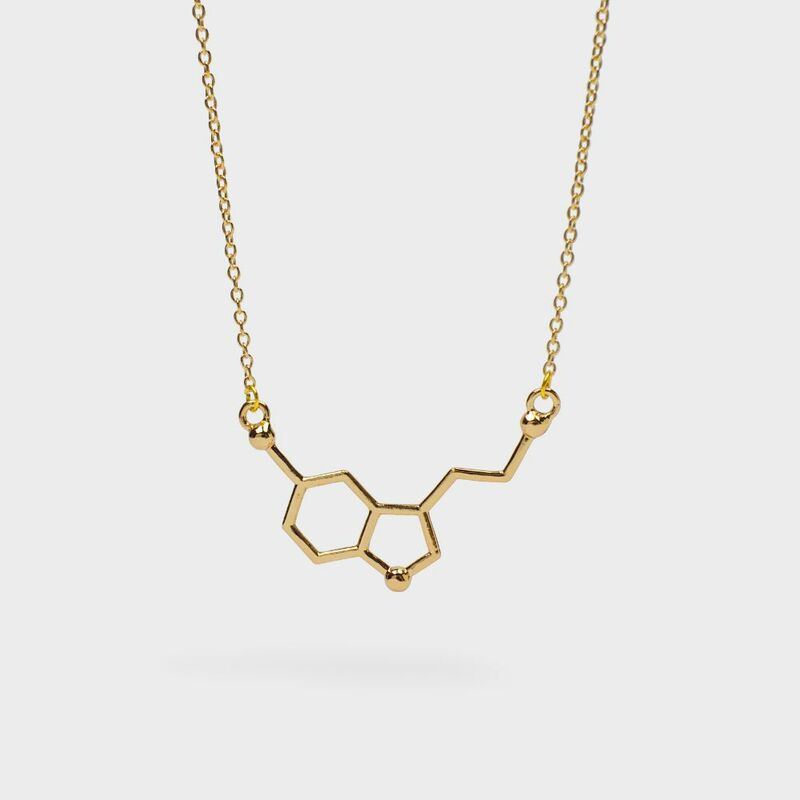 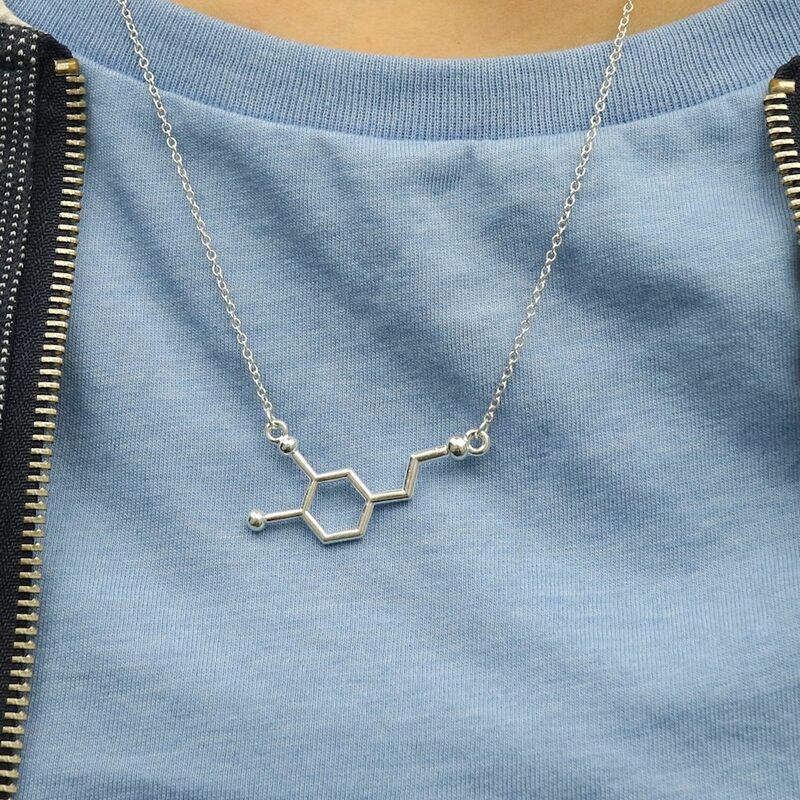 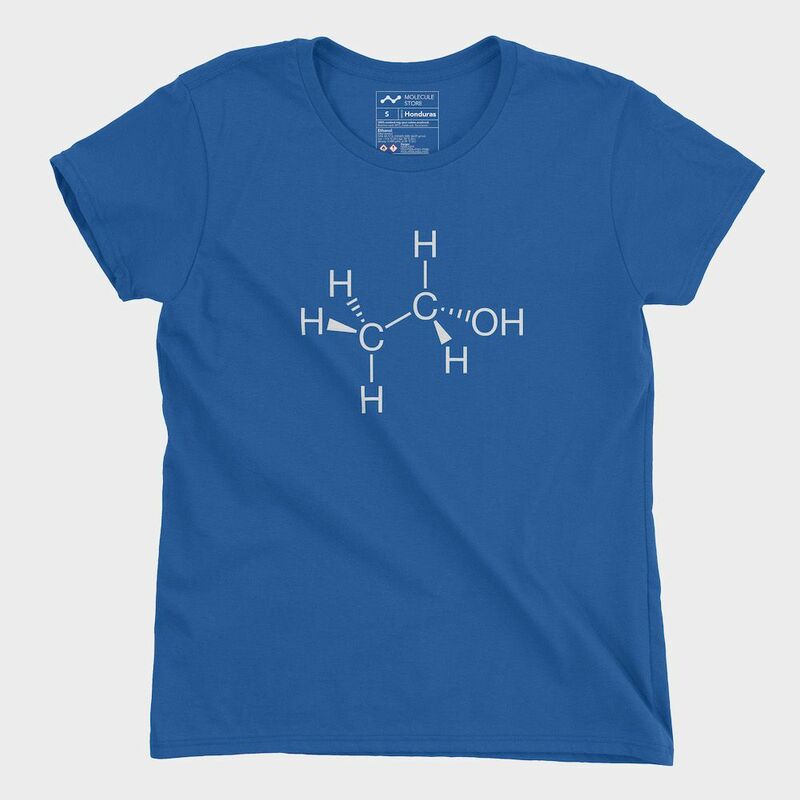 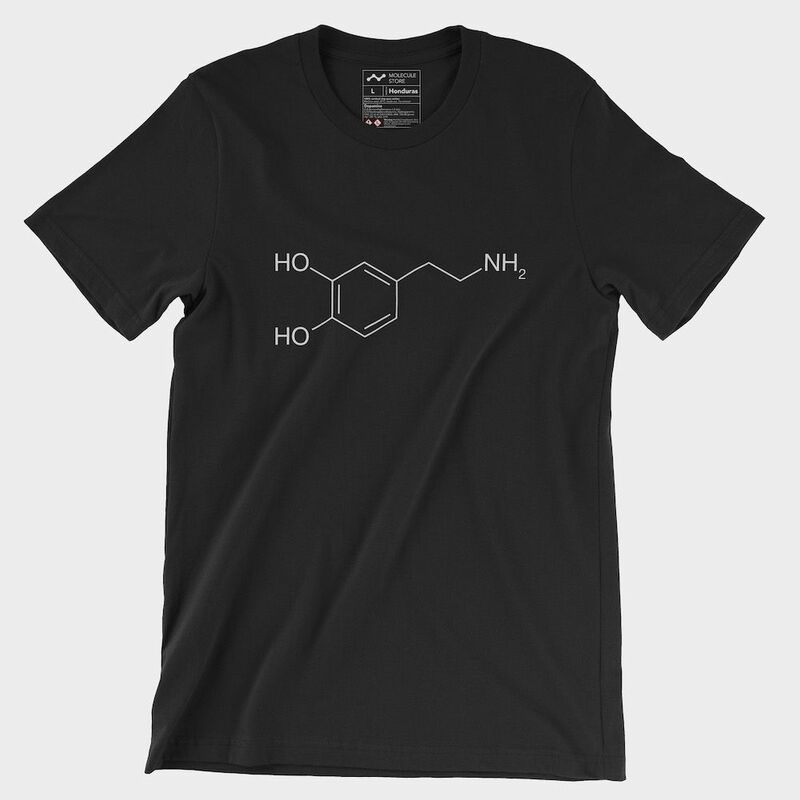 Accordingly, 12 is magnesium, 6 is carbon, etc. 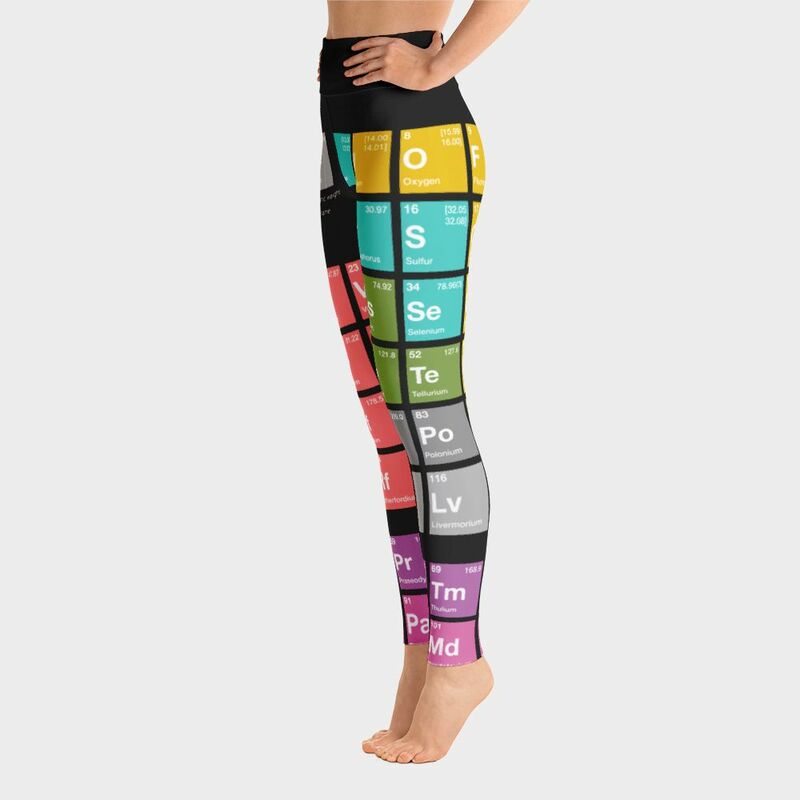 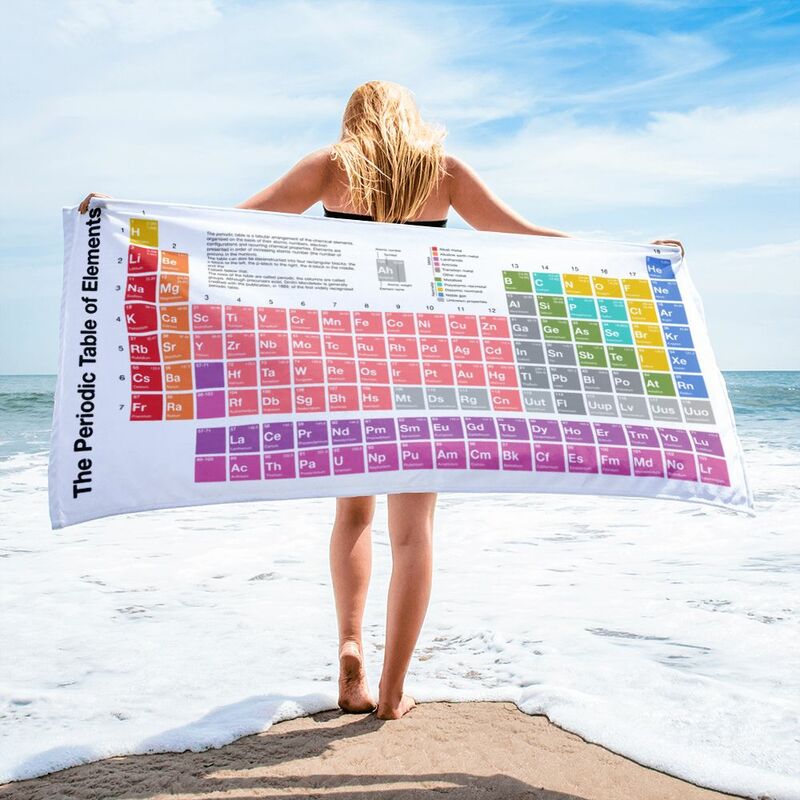 12 Beautiful elements with all the important information you need. 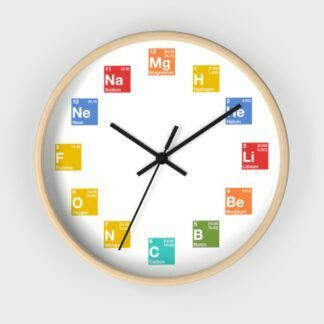 What’s the diameter of the clock?